This contemporary beach house is an absolutely fantastic location for seaside living. 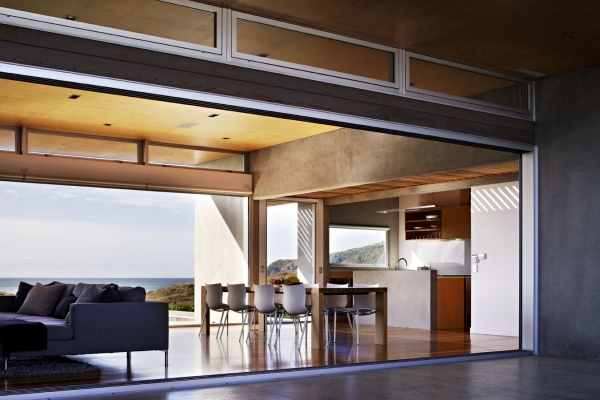 It is designed by Crosson Clarke Carnachan Architects and they have made this modern home a marvel to behold. The house’s natural motif draws guests in with its warm and inviting atmosphere. 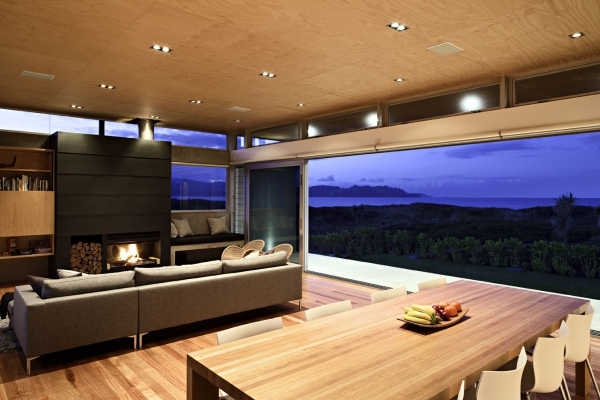 The large window shows a majestic view of the ocean and the surrounding landscape. Various plant life line the property in a visually pleasing way, it calls out to the nature lover in us all. 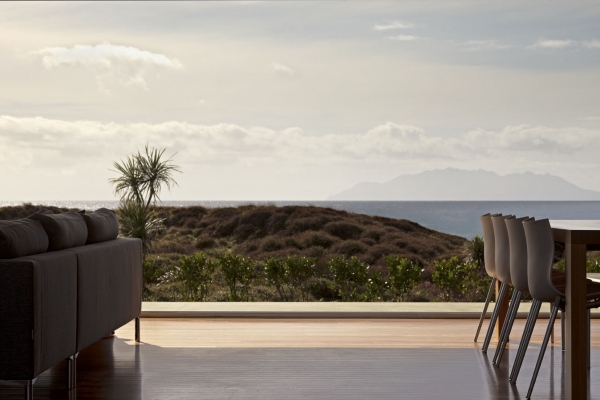 The fantastic view and the expertly chosen furnishings create a very open feel to this home. 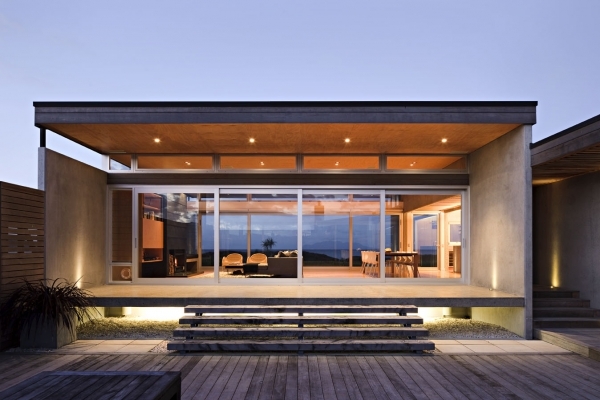 This is a contemporary beach house that shows just how much can be done with a small amount of space. 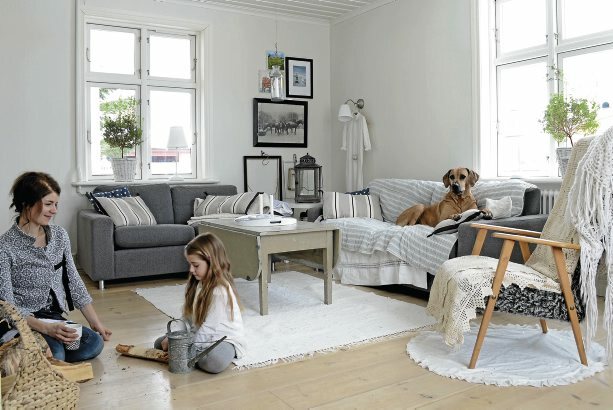 The home itself may not be large but the decor certainly creates a magnificent homey feel. Beautiful hardwood floors and tables give a sense of refined comfort. Cabinets throughout the home are well crafted from plywood timber and smoothed stone, this serves as an excellent complement to the concrete walls. The natural palette is a perfect look for a seaside home. 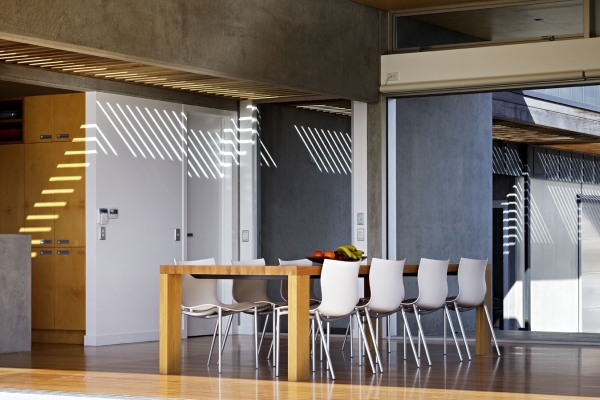 A larger section of the home can be opened up for unexpected visitors. Of course, no beach house would be complete without its own deck. This section has been outfitted for outdoor sunbathing at its finest. The space is large enough to host any number of outdoor activities. This area offers a wonderful and relaxing location to breath in the ocean breeze. The salty sea air invites guests down to the beach shore, what luck that this home is located right next door! 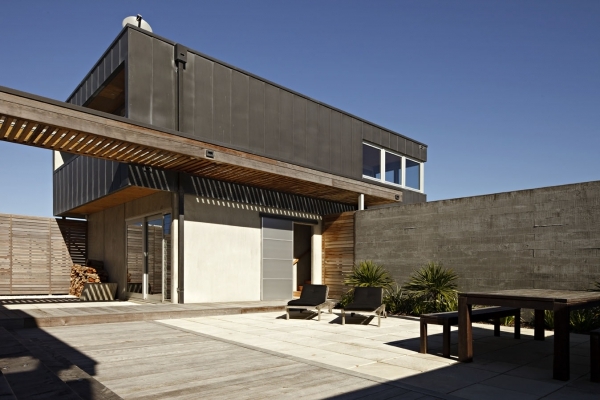 The home is a stunning example of a contemporary beach house and is certainly worthy of the title. As a piece of beach front property it is ideal for any ocean lover. 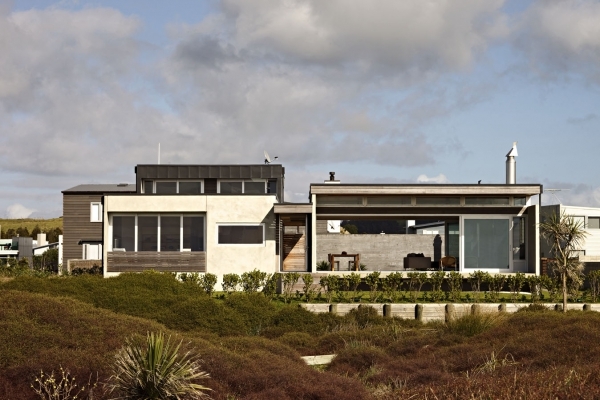 A day at the beach can happen everyday from this modern home by the sea.